If you''re a tennis fan then your passion for the sport stretches far beyond 2 weeks in July. At Sports Legends we collect authentic tennis memorabilia with you in mind. It's about going beyond the current stars of the court and bringing you closer to a world of tennis history brimming with talent. Check back here frequently for signed tennis collectibles from the likes of Borg, Becker, Graf, McEnroe and Navratilova. Get your hands on a signed photograph and it's a precious piece of tennis memorabilia. 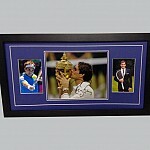 Put in a frame and it becomes a piece of tennis memorabilia you can display, admire and show off. 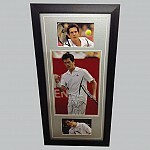 Ask us about our framing service and give your tennis collectible the mount it deserves. It's about more than collecting. It's about owning what no one else has. It's about a conversation piece. It could be about turning your tennis memorabilia into a valuable investment. 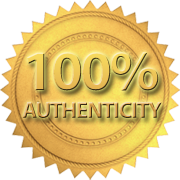 Whatever your reason, we're passionate about keeping costs low and authenticity high. Which means you'll always find genuine signed tennis memorabilia for less at Sports Legends.